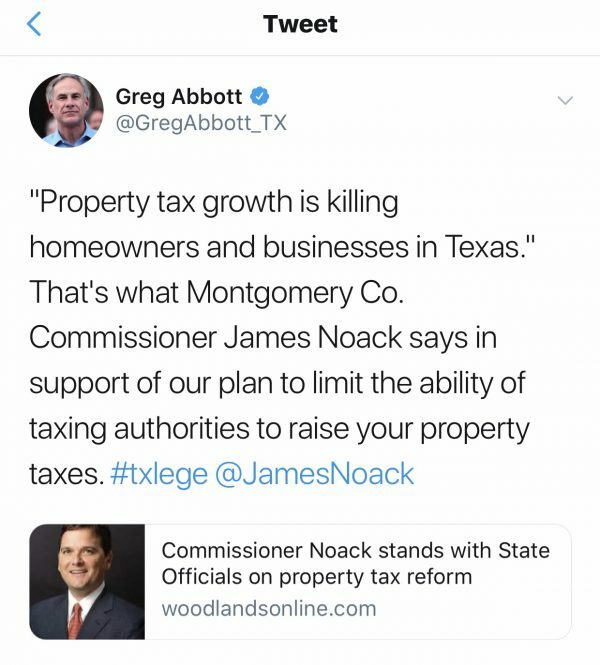 Property tax growth is killing homeowners and businesses in Texas. Anyone who receives a property tax bill knows they keep growing – far beyond any small, reasonable, or justifiable increase. Local officials throughout the state are riding a wave of huge appraisal increases and allowing tax bills to rise dramatically without lowering rates. Remember, your tax bill is the product of your appraisal, multiplied by the tax rate. The appraisal may go up or down based upon economic forces in the market that can’t really be controlled. But the tax rate is set each year after the appraisals are determined, so the local taxing entity knows what your actual tax bill will be before they vote. If your appraisal goes up, local taxing entities should lower the rate. However, that is not what is happening, and millions of taxpayers are seeing 10 percent property tax increases year after year. That’s not right. Our state leaders, Governor Greg Abbott, Lt. Governor Dan Patrick, and Speaker Dennis Bonnen have joined together to bring about real change and real property tax relief. SB2 by Senator Paul Bettencourt and HB2 by Representative Dustin Burrows will force local taxing entities to a modest 2.5 percent growth in their tax revenue one year to the next. If they want to exceed the 2.5 percent rate, it will require a vote of the citizens. If there is a true need beyond a 2.5 percent tax increase, something the community supports and will rally behind, then a vote of the people should be nothing to worry about. But profligate spending, year after year, is not justifiable or warranted. Right now the taxpayers get stuck with the bill and no real recourse. Local leaders should never fear a vote of the people. 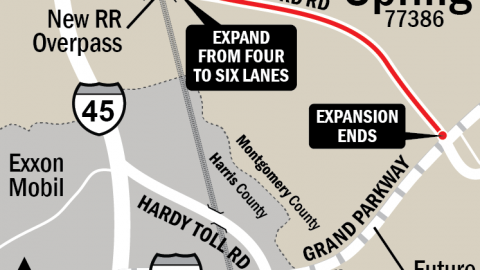 What about fast growth areas like Montgomery County? Don’t we need more than 2.5 percent spending to deliver the basic and necessary services to a growing population? Yes, sometimes we do, and the legislation allows for that because new growth or new construction in the tax base is exempted from the calculation. That is fair. Such a basic and simple approach to limiting uncontrolled property tax increases without a vote of the people should enjoy universal support, right? Well, it doesn’t. Elected officials all across the state, and their lobbyists in Austin are fighting this tooth and nail. I am taking a stand for the taxpayers, for SB2 by Bettencourt and HB2 by Burrows. I am joining Governor Abbott, Lt. Governor Patrick, and Speaker Bonnen in support of common-sense legislation to control and limit uncontrolled growth in local property taxes without a vote of the people. 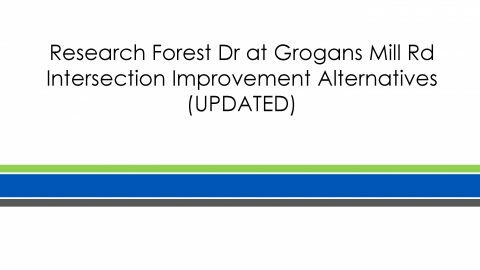 The 86th legislature is working to deliver meaningful property tax relief using a multi-pronged approach. In addition to limiting growth to 2.5 percent, bills have been filed lowering the appraisal cap from 10 percent to as little as 3 percent, and school finance reform bills are also on the table. 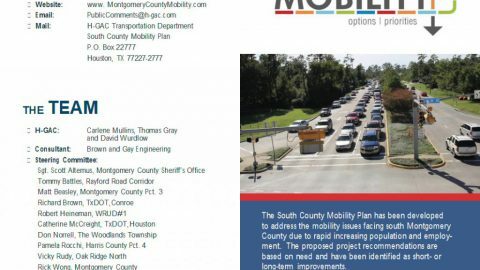 I will ask my colleagues to join me at the next meeting of Montgomery County Commissioners’ Court and pass a resolution endorsing these initiatives to protect the taxpayer.